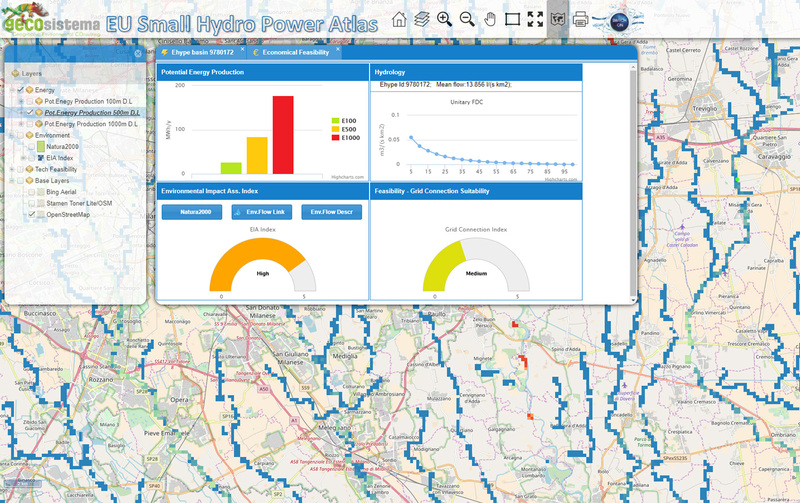 PAN-EU Small HydroPower Atlas (SHPA) is an user-friendly spatial decision support system for run-of-river hydropower plants feasibility and development across EU. The product innovation consists in making feasibility assessment much quicker and affordable, which may be a critical aspect in the development of small plants. 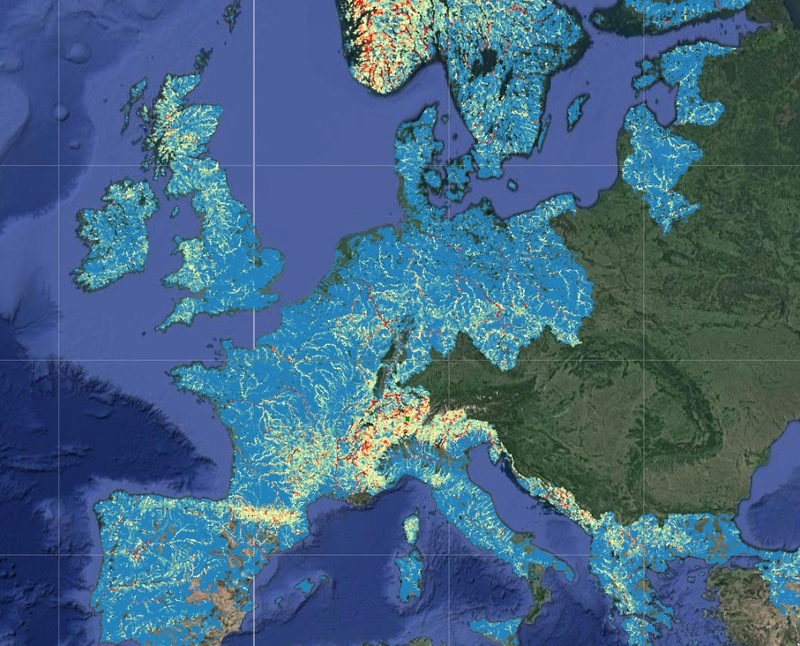 Available across EU, SHPA web spatial decision support system takes into account hydrological, technical and economic factors and provides data and indicators for preliminary feasibility analysis. Do you want to invest and make profit in small hydropower plants? SHPA will assist you in selecting the site that suits your needs and perform a fast and reliable technical, environmental and economical assessment. The SHPA has been developed as Web Mapping Application using Open-Layer and Map Server, the service is operating exploiting the power of the Cloud-based Platform (Amazon AWS ). The product is developed on the basis of available topographic data, flow duration curves, connectivity level to existing electric grid. The amount of water available for hydropower production also considers the need to release environmental flows to the streams. 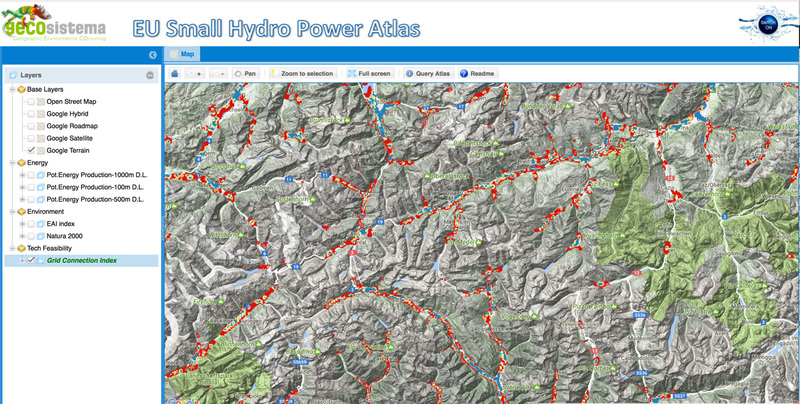 Find out the PAN European Small Hydro Power ATLAS -SHPA demo now!